Nick Clegg, Facebook’s new VP for global affairs and communications, has generally been extremely supportive of his new employer in public. But he did take issue with the firm’s “messianic” outlook in a newspaper op-ed in 2016. Clegg, formerly Britain’s deputy prime minister, will join the ad giant in his new role on Monday and will eventually move to its Menlo Park headquarters. Facebook has hired a high-profile public figure as its new communications chief – and it hasn’t taken long for people to dig up everything he’s written about his new employer in the past. 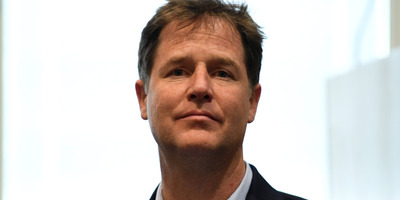 Nick Clegg will join Facebook as its new VP for global affairs and communications on Monday. As the UK’s former deputy prime minister and, more recently, a political and social pundit, he has amassed a fairly large back catalogue of opinion pieces and punditry. Daily Telegraph journalist Asa Bennett was among those to highlight a 2016 op-ed Clegg wrote for The Evening Standard, in which he took a swipe at the image projected by the company. Leon Neal/Getty ImagesNick Clegg, new Facebook VP for Global Affairs and Communications. “I’m not especially bedazzled by Facebook. While I have good friends who work at the company, I actually find the messianic Californian new-worldy-touchy-feely culture of Facebook a little grating,” Clegg said. It’s a dig in what is actually a fairly supportive column for Facebook, in which Clegg argues that CEO Mark Zuckerberg cannot be blamed for “the poisonous bile spread about Hillary Clinton” during the 2016 presidential election campaign. “Don’t ask him to play God with people’s opinions,” Clegg thunders. In fact, Clegg’s views on Facebook are generally favourable and have been for months. In September 2017, he wrote an op-ed for The i newspaper titled, “In defence of Facebook and the Silicon Valley tech giants,” and then a couple of months later attacked news brands for “unfair” criticism of Facebook and Google.